So the answer is 'glue'. Doesn't seem extremely reliable for something which will be immersed in seawater for a significant portion of its life. And this is the problem - look at how many Benrus bezels delaminate. Not meaning to slag BP, but the divided insert was doomed to failure. I can't see how they possibly thought it might work. Barnacles "glue" themselves to stuff and spend a majority of their time in seawater, without fear of coming off. They are especially hard to get off steel, too. Like I said, it's all in the choice of epoxy. Of course the epoxy is attached to the paint on the other side, so it is also a matter of paint choice. Not to say I don't take your point. My problem is in the QA process and correct choice of epoxy. I don't think most watchmakers are ex-Navy people who are versed in corrosion, nor do I think they are inclined to do the requisite research. 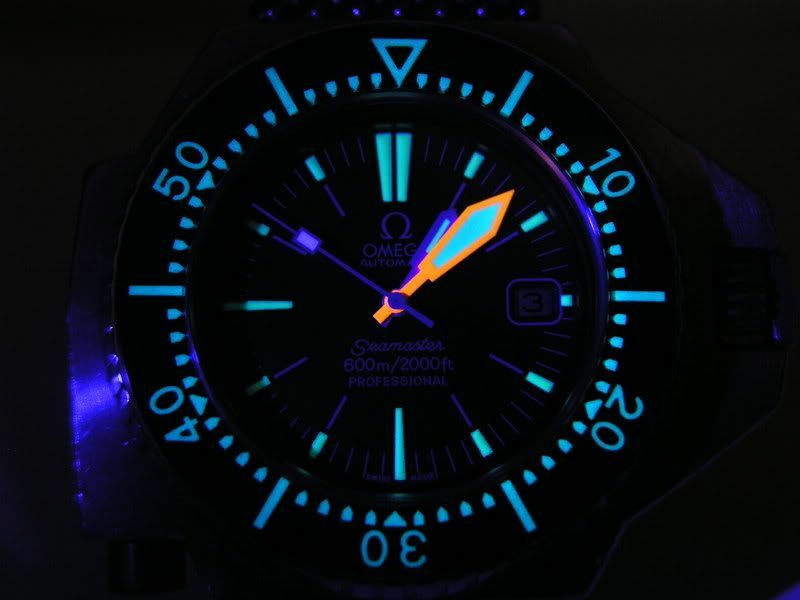 Even Omega SM bezels 'failed' and continue to 'fail' when they get wet. But my PRS-14 didn't when I dove it and I haven't heard of any other problems, so there must be a better mousetrap! Ah, but I am absolutely sure that big companies like Omega and Fricker have access to adhesive experts, whose sole job is to know all about what works and where it works best. I work for a relatively small engineering concern but I have access to any sorts of expert I need, they are payed consultants, and work for several different concerns that might need their expertise. Are you talking about new or vintage SM? Like I said, adhesive have come along way since the 1970's. Also remember, ecomonics play a large factor in such decisions in a large concern like Omega, it may well be that they are willing to accept the limited life of a bezel for a reduction in cost of the epoxy, whereas Fricker and Eddie are not. When an appropriate place is found, the cyprid larva cements itself headfirst to the surface and then undergoes metamorphosis into a juvenile barnacle. Typical barnacles develop six hard armour plates to surround and protect their bodies. For the rest of their lives they are cemented to the ground, using their feathery legs (cirri) to capture plankton and gametes when spawning. They are usually found in the intertidal zone. I wish that this is the case. The many stories of glued bezel inserts that have come loose on Sinn watches (a company with a strong engineering bent, no less) under hot/wet conditions, or of glued bezel inserts going AWOl, make me very sceptical whether the watch industry as a whole exerts the same degree of diligence when it comes to glue as some other industrial enterprises. Frankly, I think most buyers won't even swim with this watch, so who cares? I am planning to use no. 30/50 when diving. If the bezel fails, I'll get me a new one. I care, that's why I asked. I think Eddie cares also. 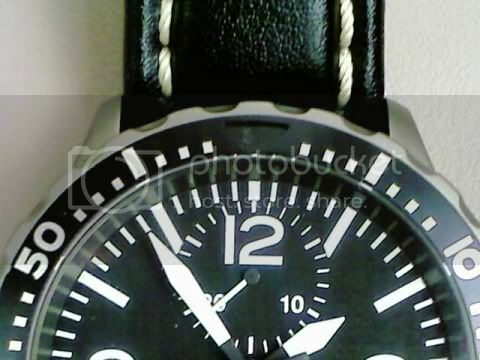 He's not the type to design a dive watch which has a predictable failure mode when used for its intended purpose. I suspect quite a few others care too, as many folks here seem to be more interested in their watches and how they work than the average Fossil-wearer. Lysander, I was speaking of vintage Seamasters but I include current production runs of remade parts. I'm particularly interested in the acrylic bezels of the SM300, SMP600 and SMP1000 as they are very handsome and functional IMO, even when nicked up. My point is that damage to a biologic system is repaired, so that a barnacle can fend off the ravages of the sea over time. Vice an inorganic system that only degenerates over time and with exposure. I agree, if you are going to make something, do it right. Well, adhesives are out there that should withstand the rigors of seawater and other such adverse environments, we glue airplanes thogether with them. In relatively large concerns like Sinn or Omega, who are big enough the be able to hire an hour or three of a consultant's time to figure out what is the proper adhesive to use, any failures of the adhesive would probably be the result of economics, i.e. we're to cheap to use the right glue, or we're to cheap to ask someone what the best glue to use is. What more is there to tell? Fricker now has the movements and the dial is due in a couple of weeks. Be sure you'll get what information I have when I get it Bernard. the dial is due in a couple of weeks. So this is the final dial design? For the LTD. yes, I believe the non-ltd. will have a "clean" dial. Eddie can correct me if I 'm wrong. Eddie is there a list yetr? Simon says PLEASE can he get one. List is here about half way down. Just occurred to me that it might be handy to quote Eddie here to make it easy to find! Looking for the PRS-20LE to arrive and never saw the PRS-50 LE sign-up. Please add me to the reserve but with that list of usual suspects, I can't see many dropping off. Effective immediately, I hereby relinquish my place on the PRS-50 Reserved List (i.e., #43). Since there is so much interest in this watch, I believe it is wrong for me to continue to hold my place in view of my ambivalence about the final (?) design. I hope it wasn't "bad form" leap onto the list in the first place since I wasn't dead sure of my commitment. Perhaps this early withdrawal will show my respect to the Forum and its members and, especially its host. Put me on that reserve list now!!! Where is the reserve list for the LTD? and can I be on it please? Thanks, I've just send the man a pm. Now... how long is that reserve list? Could you please take me off of the list (number 36) and give the space to someone else? As much as I like the 50 I'm verging more towards divers like Certina & Doxa. My pleasure. Enjoy the watch. I'll wait for Eddie's new replacement for the G-10, then I'll jump in again. Best to all on Independence Day in the Colonies. Eddie, can you place me on the waiting list of the reserve list? After having the Italian in my wrist I will try to buy as many "Eddies" as I can! Ever since I've got on to the confirmed list, I've found myself checking the forum twice daily for updates. Of course, this means I need 3 to drop out from 50, or 6%. :( Then again, everyone on the DN reserve managed to get one. Just wondering where you have seen an updated confirmed list? I am still waiting to hear if I made the confirmed list. It's hard not to get my hopes up when the person in front of me and behind me are both on this confirmed list. I haven't seen an updated list either, but I'm fairly sure that, were I in Eddie's place, I'd keep the official list off the forum as well for any number of reasons. PS: Cannon, I think your reserve list might be wrong. I was roughly following the posts but have no idea of PMs or emails to Eddie. Eddie, is this the correct order for the wait list for the PRS-50? No, I have 14 names on the waiting list. this is my first time on the confirmed list and it is a tough ride, everyday I think that "this might be the day"
I'm betting on late September to early October. I suspect Eddie, while exhibiting a great deal of oppenness about timelines and delivery dates, derives great pleasure in watching us writhe about while we lie in wait for our next TF fix. I'm figuring October, but I bet Eddie doesn't know as yet.